Janet Syas Nitsick is the author of sweet Christian romance, Courtships and Carriages, (two proposals but who wins Gwen’s heart? ); uplifting-historical romance, Bride by Arrangement (an anthology) and five-star historical romance, Lockets and Lanterns, and Best of Year book, Seasons of the Soul, which includes a spattering of accounts of her two different autistic sons. 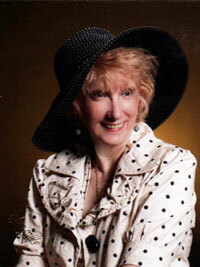 Her short story “The Silver Lining” placed 10th in the 2010 Writer’s Digest short story competition. Janet is a former journalist, language arts teacher, and has four sons (two with autism) and six grandchildren. She loves politics which is a natural for her since her late father was a Nebraska state senator for 26 years. Janet also loves to sing and take leisurely walks. Favorite biblical scripture: “God is our refuge and strength, a very present help in trouble.” (Psalms 46:1). I’m following your blog on wordpress!